Active solar design uses outside energy and equipment—like electricity and solar panels—to help capture and utilize the energy of the sun. Passive solar design doesn’t use any outside energy or require much special equipment, but simply takes advantage of existing natural phenomena, like the direction of the sun or the insulating properties of concrete. Careful placement of the home on the building site to receive the highest amounts of direct sunlight. Using building materials like ​structurally-insulated panels ​or ​insulated concrete forms​ to help absorb and retain heat through passive solar insulation. Large, south-facing windows placed strategically to receive lots of sunlight, and double- or triple-paned to capture and hold that light more effectively. Incorporating materials with a high thermal mass (like concrete or tile floors, brick walls, and granite countertops) rather than those with a lower thermal mass (like carpeting or drywall) to help absorb solar heat during the day, and release that energy back into the home at night. Using insulated concrete forms (ICFs) in green home design is an example of designing for passive solar heating. East- and west-facing window placement specifically intended tailored for morning and afternoon illumination. Installing skylights, highly-placed clerestory windows, and/or solar tubes (also known as light tubes) to help illuminate naturally darker rooms. Incorporating reflective surfaces like light shelves, which help reflect sunlight coming in through a window up toward the ceiling. Utilizing an open floor plan to facilitate the diffusion of light throughout the home. Roof overhangs and eaves designed at a specific angle to provide shade from the hot summer sun (which travels a slightly higher route than it does in the winter months, when its heat is welcome). Install removable awnings to provide extra shade over windows. Planting deciduous trees on the south side of the home to create naturally seasonal shade. Windows are specifically placed and designed to be opened during cooler hours (like the evening) to allow for effective cross-ventilation and night flush cooling. Collecting sunlight through rooftop panels and transferring its energy to a hot water boiler for household use. Pumping solar-heated water into a system of pipes embedded into concrete slab floors to transfer heat throughout the home (known as radiant floor heating). Hot water baseboards can also use solar-heated water to help distribute heat throughout the home. Solar energy can also be harnessed and used to reduce temperatures in the summer. In Long Island green home design, this is usually accomplished simply by utilizing rooftop photovoltaic panels to run traditional electric-powered air conditioning systems. ​In ​direct circulation systems, ​water is circulated via pumps through the solar collectors and throughout the home for household use. Warmer climates without freezing temperatures are needed for most direct circulation systems. 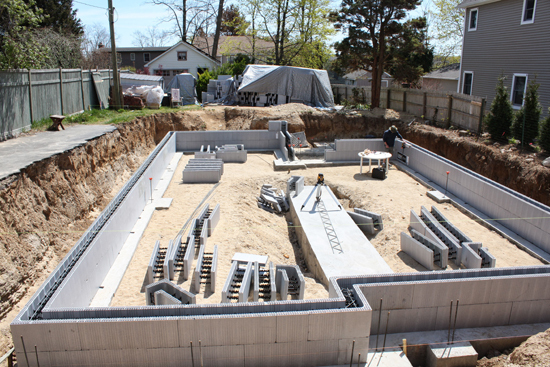 ​In colder climates like Long Island, indirect circulation systems ​are a better choice. Here, a heat-transfer fluid that’s unlikely to freeze (like a mixture of water and glycol) is pumped through the collectors and into a heat exchanger. Both active and passive solar energy are excellent choices in areas with lots of sun and cold weather – like Long Island! Harnessing and transferring solar energy is a cost-effective alternative to using traditional (and expensive) heating sources like electricity or oil, which most of us here on Long Island pay for dearly in the cold winter months. 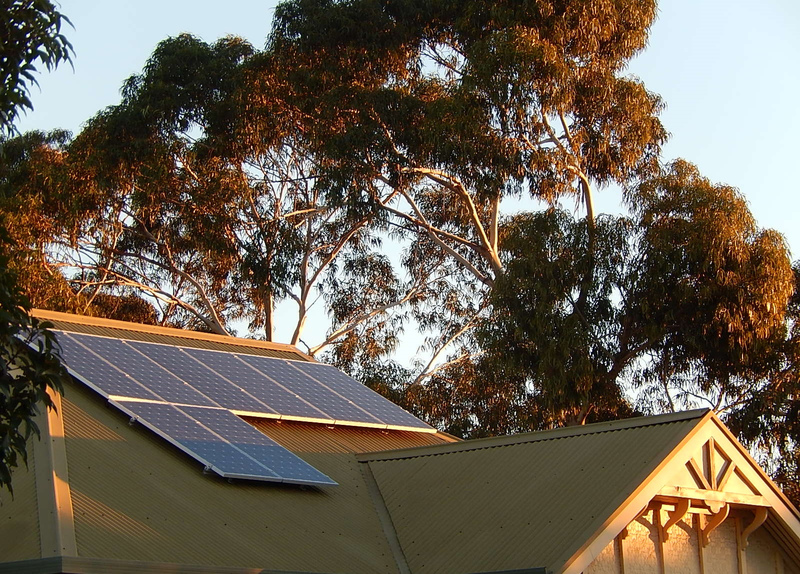 With active solar heating systems, those bills can be greatly reduced, since we might only need to rely on electric or oil heat as a back-up energy source, rather than our only energy source. And when a home is designed for immense energy efficiency, it can even reach the point of becoming a ​net zero energy home, producing as much or more energy than it needs!